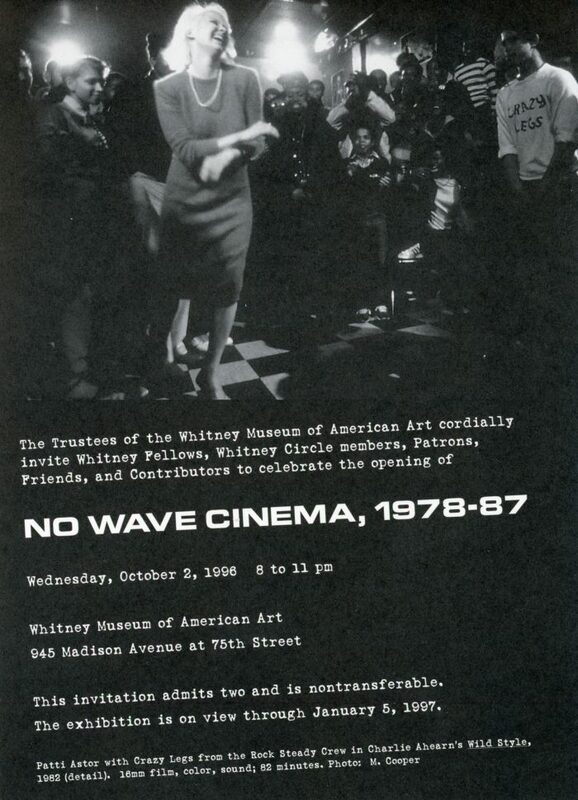 Card for No Wave Cinema, 1978-87 at the Whitney Museum of American Art, 1996. Front of card features a film still of Charlie Ahearn’s Wild Style, 1982, showing Patti Astor with Crazy Legs from the Rock Steady Crew. 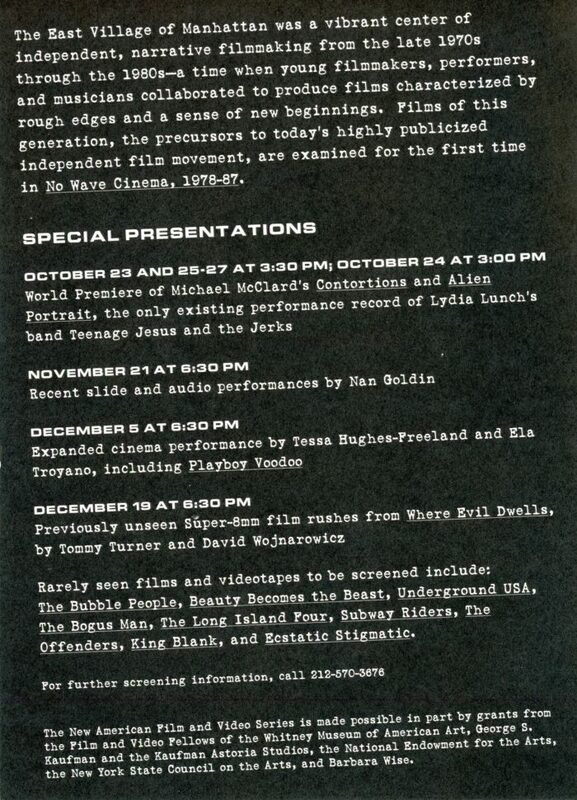 The exhibition included special presentations by Michael McClard Tessa Hughes-Freeland, and Nan Goldin, as well as unseen film footage by David Wojnarowicz and Tommy Tuner.